This week we take a look at Tiger JK’s latest release Blazing. Featuring Yoon Mirae and Bizzy, this is another striking release featuring the MFBTY trio. 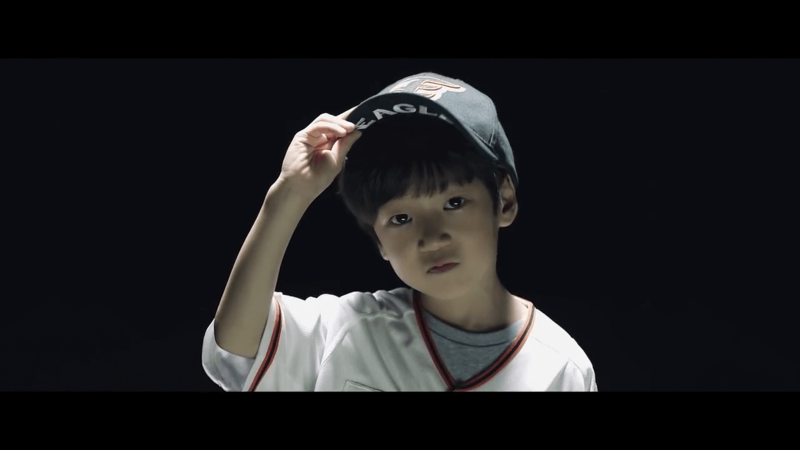 Created as the theme song for the 30th anniversary of baseball team Hanwha Eagles, Blazing reflects the passion of fans by embodying the Eagles slogan I am the Eagles, to create a fitting cheering song for the team. The music video for Blazing fits the cheer song perfectly, with imagery of team work and tribes. Yoon Mirae is presented as a tribal Queen, the figurehead of the mv, despite the track being Tiger JK featuring. A strong female role creating images of queens such as Boudica, Cleopatra, and even the pirate queen Grace O’Malley. Women often hold important roles in tribal communities, given their ability to give life, in fact female tribe members long had better privileges and rights far before than those in the ‘civilised’ worlds. Tiger JK lives up to his name, or at least the implication of big cat status, presented as a lion. The male lion and his vast mane are symbolic of power and royalty, the lion is the king of the jungle. The lion represents unfaltering courage and strength. Bizzy is the eagle, both in costume alongside Tiger JK and Yoon Mirae, but also as himself in narrative. Bizzy walks with the fans, young and old, as one of them, and as the Hanwha Eagles slogan says ‘I am the Eagles’. The eagle is the king of the skies, hence how often it occurs in symbols of power. Napoleon, Hitler, Francisco Franco, good or bad, they all used the eagle in their symbols of power. Most notable in recent times is the United States, the bald eagle is the national bird of the country, having it feature on their Great Seal, and in flags logos and seals for organisations such as the Navy, Marine Corps, Airforce, Justice Department, and postal service to name but a few. These animals create imagery of power for the team, and the narrative that gathers fans of all ages allows this power to transfer to the fans of Hanwha Eagles. Their 30 years is not due to the players, but to the collective Eagles family, a family that includes its fans. Their passion and success becomes reflected upon the fans, them all seeing personal successes too. The most prominent other figure in the mv, is the young boy who we see unbox his Eagles jersey at the beginning. We can read this mv as him being representative of a young Bizzy, the journey Bizzy takes through the mv showing the trials of his life, though when he is able to pitch at the end we see the passions of his youth still remain. Blazing is not only another flawless release from Tiger JK, but a beautifully fitting anniversary tribute to the baseball team, and a cheer song that will hopefully ring through the Eagles stadium as intended.